Can you imagine a day when wormholes become so commonplace, they’re like Interstates? The E-ZPass will truly live up to its name since this toll will be predicated on a chink in time that bypasses the usual limitations of interplanetary travel. 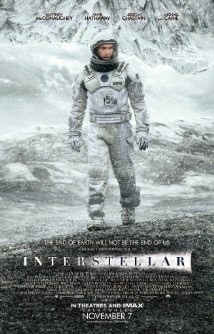 Christopher Nolan's Interstellar envisions a time where travel through wormholes in search of a viable home for beleaguered mankind would be a central part of any space program’s mission. If what scientists tell us about global warming is true then wormholes are going to be the only way to go. “Two Promising Places to Live, 1,200 Light Years From Earth,” was the title of a piece in The Times (4/13/13), about a couple of planets scientists have called Kepler 62e and f orbiting the star Kepler-62 of the constellation Lyra, in the so-called “Goldilocks" zone, which provides temperatures hospitable to human life. However, at those distances one never knows. It’d be a shame to create a literal spaceship earth, a Noah’s ark of future civilizations who passed the baton on one after the other, only to find that the Promised Land was not all that it was cracked up to be. Being able to travel to far away places by way of wormhole is tantamount to being able to study computer listings on Craig’s List as opposed to trudging door to door in search of an apartment in Manhattan. So here’s how it would work. You input your requirements into NASA’s Kepler spacecraft which would now be owned by one of the major real estate firm, like Sotheby’s, that handled stellar and interstellar transactions (“if you’re looking for space in outer space, we got it” might be the Kepler’s mantra), you hear back about some possibilities and then pop into a wormhole to psyche them out, all the while making use of your E-ZPass, of course. By this time in history people would be getting as excited about planets as they once were about apartments and if it looks right they’d be ready to begin packing up for the trip. Wormhole or no wormhole, it’s still going to be a schlepp, but even if you have to circumvent a black hole it won’t be long before you see the light.